Running out of Warehouse Space? Warehouse Costs Increasing? There are any number of reasons why you might wish to review (and perhaps redesign) the layout and operation of your warehouse facility, but they all boil down to the same thing—securing or increasing your company’s competitive advantage. We at Logistics Bureau take a thorough and methodical approach to warehouse design reviews and improvement plans, helping your company extract maximum value from its facilities, removing many of the inventory management obstacles that inflate supply chain costs and ultimately erode profitability. Whether you are looking to optimise your existing facility or build a new one, the team of specialists at Logistics Bureau will work with you to achieve the results you need – and deserve. With decades of experience and zero attachments to suppliers in the market, we provide an independent perspective on the issues you are facing. Click on the “Contact us now” banner just over on the right to contact one of our senior staff. In this space you can also click through to topical blogs and eBooks. Location selection and design of utilities sector main distribution centre. Design of central warehouse and satellite warehouses in utilities sector. Distribution centre process improvement in entertainment industry. Consolidation of multiple warehouses in automotive parts sector. Warehouse design validation for major 3PL. We have completed hundreds of warehousing related assignments for our customers in Australia, Thailand, Vietnam, Indonesia and elsewhere. Do you really need a New Warehouse or Distribution Centre? When your warehouse or distribution centre capacity is at bursting point, and costs are escalating while service levels are not being met, it is natural to assume that a bigger and maybe “smarter”, warehouse would go a long way to addressing the issues. That maybe the answer but how can you be sure? Could you remedy the situation and/or buy time by investigating the primary causes of the existing situation? Logistics Bureau’s consultants have extensive experience in assisting customers in the identification of causal issues through Warehouse Facility Design, Layout and Operations Audits. A change in even some of these could avoid the perceived need for a considerable expenditure on a new facility. You definitely need a New Warehouse Facility! If the need for a new warehouse facility has been confirmed, important decisions need to be made. How can we ensure the optimum warehouse design & layout? Companies rarely have available in-house expertise in warehouse facility layout and design, and the common response is to approach equipment/systems suppliers. Suppliers will naturally suggest solutions that can be met by their range of equipment. Their scope of supply and expertise will define their solution and so the investment required. The costs they incur in designing the solution will be recovered in the equipment cost. The Logistics Bureau has over three decades of experience in warehouse facility and operations layout & design. Where should the Facility be Located? The location of the proposed warehouse facility is likely to be a key driver of implementation and on-going transport costs. The Logistics Bureau can assist in this decision using elements of the Network Design and Supply Chain Mapping tools. The preferred locations can be checked for cost and availability of sites and/or existing buildings through the Logistics Bureau’s Industrial Real Estate contact network. Our warehouse consultant’s design methodology begins with a review of the existing operations and the gathering of SKU and Transactional data. The steps in the warehouse design are initiated by the analysis of this data and can be performed by the Logistics Bureau’s consultants, in consultation with the client, or by the clients staff with assistance by Logistics Bureau practitioners. The historical data is analysed in order to build a picture of the operational warehouse requirements and costs for the period covered by the data set. Broadly the results cover the requirements for receipt, storage, fulfilment and despatch and the costs incurred in process. The results are presented to the client for a “sanity check” and costs and productivity rates are benchmarked against industry standards. In consultation with the client, the warehouse requirements are then factored for growth in inventory, throughput velocity, fulfilment and despatch. These then form the performance specification which lays the base for the warehouse design options. The criteria, by which each warehouse design option is judged, are set. These can include, acceptable ROI, implementation costs, operational costs, image, flexibility, dependence on labour and many more. 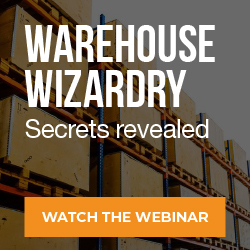 The constraints that will shape the warehouse design options need to be identified. These will include amongst others, IR issues, capital, IT systems, risks, timing, clients capability, site/building availability etc. A number of warehouse layout options are then designed by our consultants and costed at a high level. The costing includes implementation and warehouse operational costs and the client’s preferred ROI formula is applied to each option. The designs include high level CAD drawings of the warehouse layout and materials handling equipment, manning levels and probable warehouse expansion options. The warehouse options designs, with implementation and operational costs, are then presented to the client and marked against the Performance Specifications, Goals and Constraints. Operational staff, potential suppliers, IT, sales etc. can be asked to provide input. The client can make an informed decision as to the preferred option. The detailed layout and design of the preferred facility option will include, performance specifications, equipment layout, facility footprint and building design and cost, (new building), specification of static and mobile materials handling equipment, high level process design, detailed implementation and warehouse operational costs. Depending on the complexity of the systems and capital cost of the preferred option there may be a need for a computer simulation model of the system’s operation. 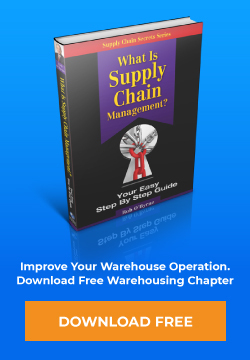 The warehouse simulation model is time based, and takes into account all the resources and constraints involved, and the way these things interact with each other as time passes, confirming the system design. The Logistics Bureau’s consultants will provide a listing of suppliers of the required equipment/systems and seek expressions of interest. An RFT equipment specification is compiled from the detailed warehouse design. It also includes contract and payment terms, site conditions etc and is distributed to interested suppliers. The Logistics Bureau liaises with the potential suppliers answering any queries and distributing equally any new information that may come to light. Responses are analysed and checked against the system requirements. In conjunction with the client, a supplier/response “scoring sheet” is compiled including loadings for critical areas and perceived risks. The Logistics Bureau will facilitate a workshop to assist the client in the evaluation and choice of the supplier partners however we do not make any recommendations as to the suitability of any supplier. Once the preferred suppliers’ shortlist is identified the Logistics Bureau will assist in the detailed contract negotiations. Once contracts are let the Logistics Bureau’s consultants can assist in the project management of the system installation, commissioning and testing and implementation.